Ricardo plc. 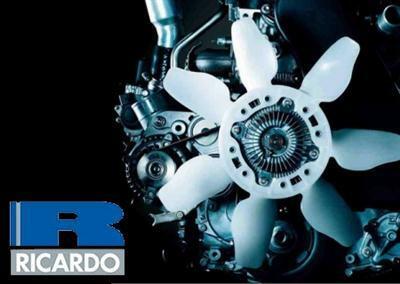 announced the release of 2013.3 versions of Ricardo Software, which supports a wide range of design and analysis software products developed specifically for application during the powertrain development and vehicle integration processes. These software products are developed and supported by the Ricardo technical centers in Chicago, USA, Shoreham-by-Sea, UK and Prague, Czech Rep. Each of these products provide their own range of features and specialties. With new features and capabilities continuously under development, in each product, Ricardo Software will continue to provide its licensees the benefits from the very latest technology. The large base of licensees ensures that the software development process is effectively targeted at the needs of the users. Ricardo is a leading global provider of product innovation, engineering solutions, clean technology and strategic consulting. Through our advanced and well-equipped technical facilities in North America, Europe and Asia we serve a wide and balanced customer base including the market-leading brands across a range of industrial sectors, as well as government agencies and national and international regulatory authorities. We are a public company quoted on the London Stock Exchange and a constituent of the FTSE techMark 100 index. Home: Linki görebilmek için giriş yapmanız ya da üye olmanız gerekir.